You shall have fun for hours in the wonderful place for the evening party. Centennial planes, waterfalls, river salmon growing ponds – everything to please you. You will catch river salmon yourself! Local music and dancers in national dress will accompany your unforgettable evening. 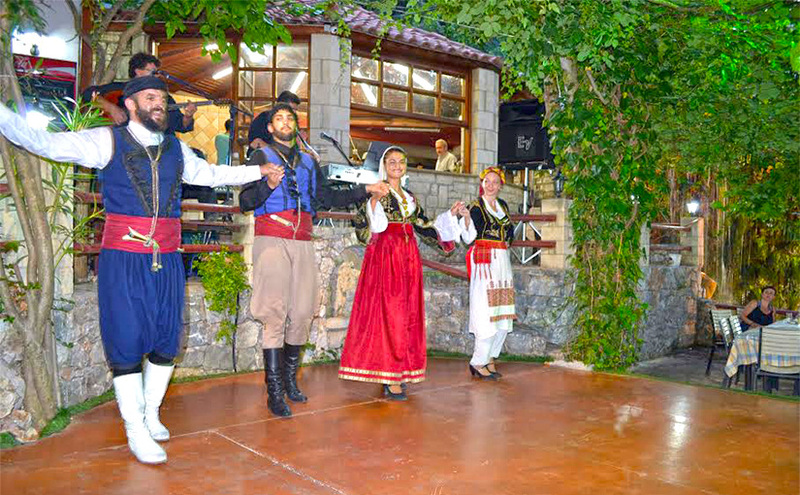 You will listen to soul-feeding Cretan and Greek folk music and songs, learn “sirtaki” dance and will have fun.